Black walnut tables, wood slab tables, live edge wood tables. Looking for that rustic look for your office? Our black walnut live edge tables are handcrafted using American black walnut wooden slabs. Maple, cherry oak. With years of experience in the furniture making, we will build you a live edge table to be used and enjoyed. From the minute you choose your piece of wood, we will suggest you every possible leg style texture shape and color that can elevate the beauty of your live edge table. The elegance of our custom walnut table will give an even more unique look to your home and offices while adding charm and warmth to the valuable moments spent with friends, family and colleagues. Purchasing a custom table made of natural live edge wood can be daunting unless you understand what live edge wood is and how it changes your decor, you might end up buying the wrong ones. At Wood Touch, our walnut live edge tables are designed and fabricated after discussions with each customer. These discussions are informative, collaborative, instructive and fun. Typically the customers provides a general indication of size, wooden species, legs choice, as well butterflies and other details. Our finishing process is focused on bringing out the timeless beauty of the wood grain and color that are found in the wood itself. You may also want to pair our natural edge table with any unique base design, you may select from our contemporary, rustic, modern, farm or industrial base style. 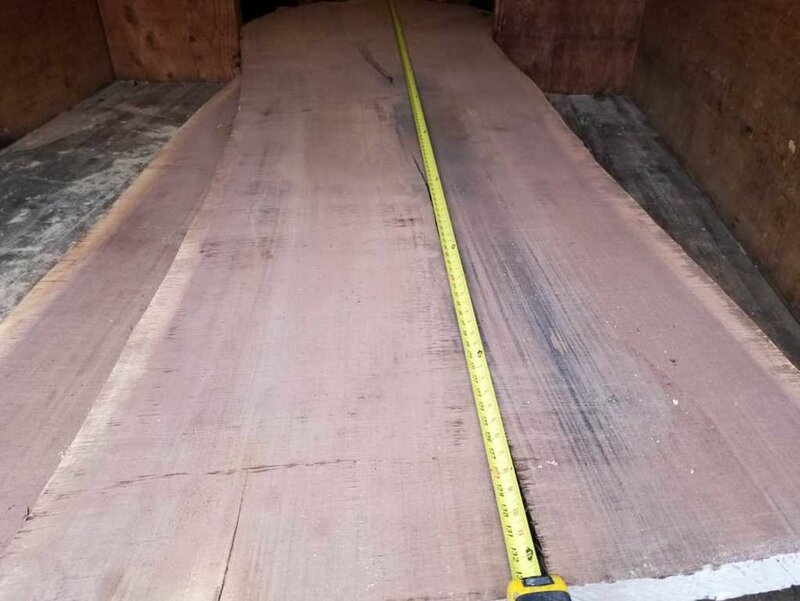 They are between 34" to 45" wide and 11' long perfect for a single piece walnut dining room table. Wood Touch is the best custom table company in Greenwich CT, Short Hills NJ, Wayne NJ, Long Island NY, Brooklyn, Stamford CT, Pennsylvania, North Jersey, Jersey Shore and more areas in the tri state area. Get some ideas of our live edge tables and let us know how you want your handmade table customized.